Whether you just started on your caregiver journey with an elderly parent or you have been caring for them for some time, one of the risks you have likely heard a considerable amount about is fall risk. Each year millions of adults over the age of 65 suffer a fall, and many end up sustaining serious injuries that negatively impact their functioning, mobility, and quality of life. In some situations, such as a broken hip, the injury could put them at increased risk of death. The Centers for Disease Control reports that falls are the leading cause of both fatal and non-fatal injuries in the United States. According to statistics provided by the Center for Disease Control and Prevention, thirty-five to forty percent of people over 65 years of age seek medical attention resulting from a fall at least once a year. According to the National Institutes of Health, 6 out of every 10 falls happens in the home. This means it is in their best interests to ensure your parent’s home is as safe as it can possibly be. While fall risks cannot be completely eliminated, a few practical steps can be taken to minimize those risks in the home. Taking steps to reduce this fall risk helps to protect your elder loved one from potentially catastrophic consequences, giving them a better quality of life as they age in place. Falls can happen under the best of conditions, but we can eliminate a number of risks by using common sense and a bit of planning. Use these tips to help reduce fall risk for your elderly parent. Grab bars are a simple, unobtrusive tool you can install throughout the home to give your parents more control over their mobility and ability to navigate and enjoy their homes. Grab bars can help your parent to maintain more independence and also help to reduce some of their need for physical assistance. If your elder is struggling with mobility or balance difficulty they are likely to reach out and take hold of items along their path to provide extra support and balance. Adding grab bars throughout the home offers support so your parent does not rely on objects that might not be able to handle their weight, such as lightweight furniture, furniture on wheels, or towel rods. Make sure these are strong enough to manage your parents’ weight and are installed properly to prevent serious falls. Physical assistance can be instrumental in helping your parent handle their daily tasks while reducing fall risk. For example, transferring in and out of bed or a chair might be challenging for an elder who has balance or mobility problems, but you can help them by providing support and helping them to balance. An elder care provider can be invaluable for this type of assistance if you have limitations or if you are not able to be in the home with your parent as often as you would like. Dark areas in the home can make it harder for your parent to detect potential hazards such as the corners of furniture, the edge of steps, or stray items on the floor. Adding more lighting throughout the home can help them to better navigate the space and avoid these dangers throughout the day and in all weather conditions that might impact available natural lighting. Every room should have a light or light switch at each entryway, so no one needs to enter a dark room. Nightlights should be used to illuminate paths from the bed to the bathroom, kitchen, or any other place in the home that may need to be accessed during the night. Walkways should be clear of electric cords, pet toys, or any other tripping hazards. Go through your parent’s home and make sure there are clear, open, and easily accessible pathways in all rooms. Remember your parent might not have the mobility and body control necessary to move around obstacles that could cause tripping and falling. All carpets or rugs should be flat and stay in place. Rugs that slip should be replaced or secured in place by carpet tacks or carpet tape. Any spills on smooth floor surfaces should be cleaned up promptly. Supportive rubber-soled shoes should be worn. Sturdy handrails should be installed to both sides of stairways, even if only one or two steps are involved. Uneven or loose steps should be repaired promptly. All steps should have non-slip surfaces and be well lit. Chairs should be sturdy and have armrests that make it easy to stand up. Furniture, especially near any walkways, should be sturdy enough to support the weight of anyone who may need to reach out to steady themselves or stop a fall. Increased fall risk often stems from an elder’s physical challenges and limitations. Muscle weakness, joint instability, loss of range of motion, and balance problems all increase the chances your aging parent will suffer a fall. Encourage your parent to stay active on a regular basis to keep their body stronger and more responsive. This will not only help to reduce the chances your parent will fall but can also help to prevent serious injuries if they do suffer a fall. Regularly accessed items should be placed where they can be reached safely. A non-slip tub or shower surface is essential, as well as strategically-placed handrails near the toilet and bath. Install bars inside and outside of tubs and showers, as well as installing grab bars next to the toilet. Bars and handrails help combat some of the most common causes of falls, including damp floors and trying to step up into or out of the bathtub. Eyeglasses, if needed, should be worn consistently and be readily available next to the bed and sitting areas. Consult with your physician to ensure any medications being taken do not add to feelings of disorientation, blurry vision, or drowsiness. Seniors who use mobility aids such as wheelchairs, scooters, and walkers tend to have difficulty moving throughout the home if there are levels changes such as stairs or sunken rooms. Rather than limiting their movement to one area of the home or requiring them to have someone help them get from place to place, add ramps where possible to allow your aging parents to use their mobility aids to get up and down confidently. The kitchen is an area primed for causing falls. Items kept on high shelves or in difficult to reach cabinets or large items stored above head level can cause your elderly parent to lose their balance and fall. Rearrange the kitchen so item used frequently are stored within easy reach so your parents are not tempted to use a step stool, climb on something, or reach in order to get them. Wet floors from cooking and washing dishes can lead to your elderly parents slipping and causing a serious fall. Place textured mats on the kitchen floor near the sink and dishwasher to provide traction if the floor gets wet. Good balance is key to preventing fall-related injuries for seniors. When someone is said to have problems with their balance, it means they have an impairment in how their bodies regulate their positioning and movement. Good balance requires the vision to work in synchronization with skin, muscle, and joint nerve endings along with the nerves in the inner ear. When all of these do not communicate well together, balance issues start to happen. Multiple phones should be spread in strategic places around the home, so no one needs to hurry to a phone to answer a call. Starting elder care for your aging parent can be a fantastic way to help keep them safer and healthier throughout their later years. An elder home care services provider can be with your senior loved one on a schedule that is right for them. This is not just about addressing their needs and limitations, but also giving them the support, care, and assistance they need to help them to achieve and maintain a higher level of independence, activity, and fulfillment as they age in place. 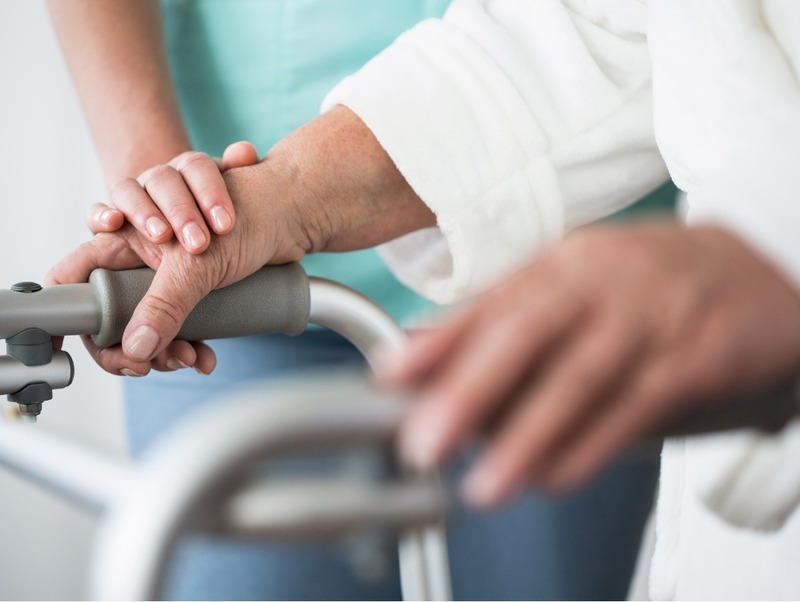 When it comes to helping them to stay safer, an elder care provider can give your parent physical support and assistance to help them stay mobile and to handle personal care tasks, such as bathing, dressing, or toileting. They can also help your loved one with tasks throughout their home and in their daily life that might challenge their physical abilities, such as helping them keep their home neat and tidy, or going to the grocery store with them to help pick up and carry purchases. As a family caregiver this can help you to have peace of mind knowing your elder can maintain an active, engaged, and fulfilling lifestyle while staying safer, healthier, and more comfortable.